As a China office supply wholesaler and manufacturer, Deli mainly provides pocket calculator, paper shredder and adhesives. The picture shown left is our tape dispenser. If you click the icons below this picture, you will find other related products. They can meet your different needs in office, school or at home. Welcome to choose! Thanks! 1. Coat material: ABSD material. 2. Blades and rotor are both fixed by screw: so the tape dispenser is stable. 3. Blades of the tape dispenser is nickel plated. the coat is polish finished. 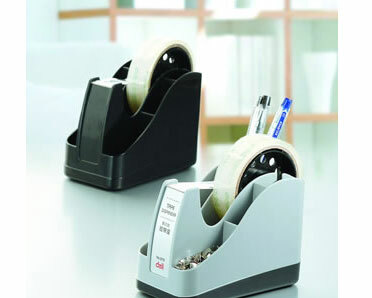 Deli is a professional office supplies manufacturer located in China. 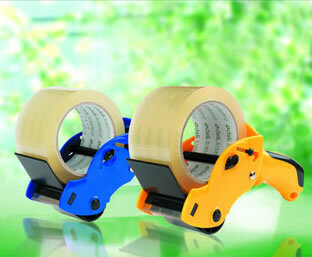 We can not only provide adhesives (glue sticker, sealing tape, stationery tape etc. ), but also many other kind of stationeries like file keeper, file box and file bag, stapler and punch, writing instruments, paper supplies as well as commercial machines like shredder and laminator etc. Welcome to choose our office supplies.